A look back at a killer 2018. When you look back at 2018 in sneakers, it’s been one hell of a year. We had solid start to the year, with the return Air Max 98 Gundam to the Levi’s x Air Jordan 4, all the way through to the recently released Union x Air Jordan 1 — with a ton of heat sprinkled through the months along the way. When we look back, it’s safe to say this year has been one of the biggest and best in recent history. Today we took a look back through the archives of this year to dig out and rank the top ten, but, as expected, it wasn’t easy. And after much debate, painful culls and plenty of inter-office cussing, badmouthing and borderline physical abuse, we’ve arrived at our Top 10 Sneakers of 2018. 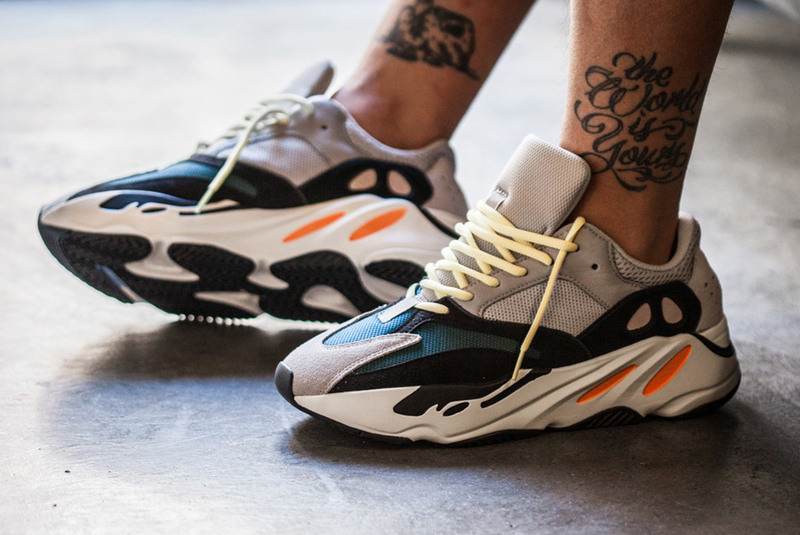 Wait, didn’t the Wave Runner first release in 2017? Well why the fk are they on the list? Well, because in 2018, they saw their first wider release, which means most of us got our pairs this year. I know, it seems like a lifetime ago, but it’s legit not been that long. And, according to Ye, it’s the most requested Adidas sneaker of all-time — that is, if you can believe anything he says. The $300 price tag was, and is still steep, but everyone who’s got these clunky colorful dad shoes says that they’re worth every damn penny. 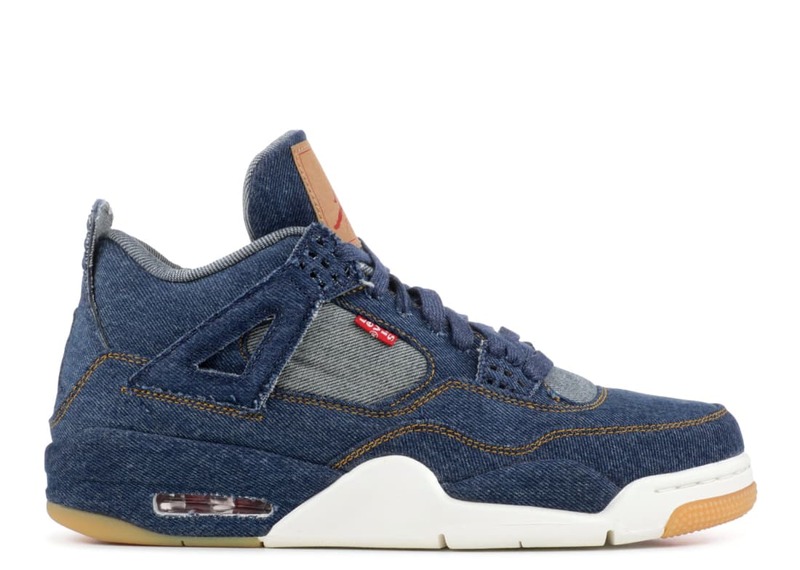 This wasn’t the first time that these two iconic American brands have buddied up, but their Blue Denim Air Jordan 4 was definitely miles ahead of their 2008 Air Jordan 1 partnership. Re-worked entirely in denim, right down to the shoe’s cage, sole insert and laces, the 1989 classic was an instant symbol of streetwear clout. And that iconic red tab just made it feel oh so much more. The execution on these pairs alone is enough to cement a spot in the top 10 — but it’s the sneaker’s inspiration that drives it home. According to a behind the scenes report directly from the horses mouth, Jordan Brand have claimed that the design process required not one, not two but nine attempts to successfully re-create the fuzzy weathered heel and collar of an original 1985 Air Jordan 1. And that doesn’t include nailing the remaining details — nubuck Swooshes, exposed foam, zig-zag exposed stitching, pre-yellowed midsoles and the special edging on the thick-cut leather. This collection is truly a masterpiece. If you ask any sneakerhead, the best sneaker of 2017 was easily the Off-White x Air Jordan 1 (although we would have given it to his OFF-WHITE Air Presto). It was highly unlikely that Virgil would back it up with another Air Jordan 1 contender for sneaker of the year, but he did come close. 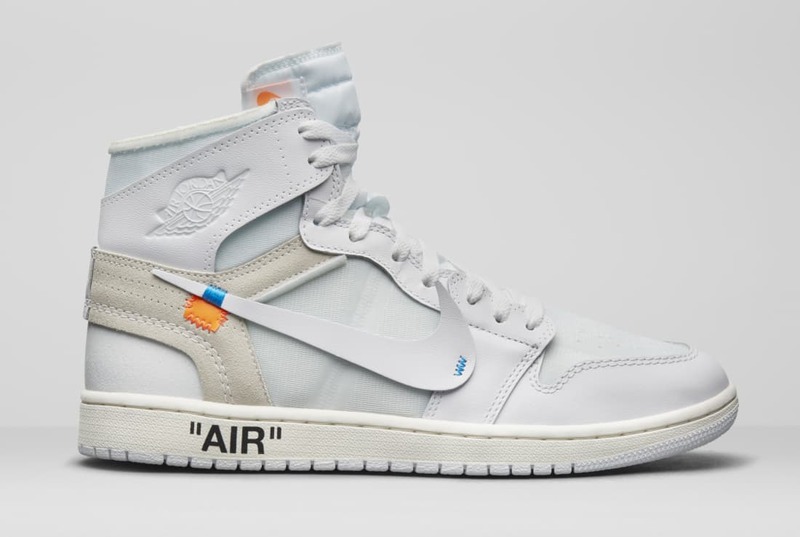 It was this Euro-exclusive release—a place where Jordan Brand historically has struggled—on the literally off-white pair and have them become more sought-after of the three colorways so far. But for the love of God, Virgil, end it here.
. . . but his best release of the year was actually meant to drop last year. The Ten’s Converse Chuck Taylor All-Star was pushed wayyyy back to May 12th this year, likely due to factory faults. 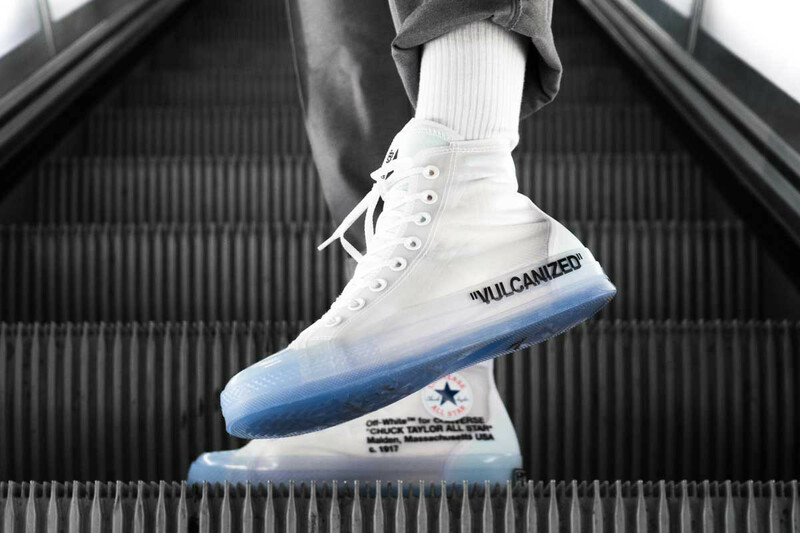 One of the most polarizing and Instagrammable designs from Abloh and Nike, the re-worked Chucks featured a translucent upper, amongst other wild changes. It was the first time in a long time that translucent uppers were cool. Actually, probably the first time ever. These days, Rapper sneaker collabs are a dime a dozen. Most are horrible — that’s a fact. That is probably boiled down to the fact that most rappers do it for the dinero, and whip out sneakers that they’re not really enthused by, typically on base models they’d never, ever wear. 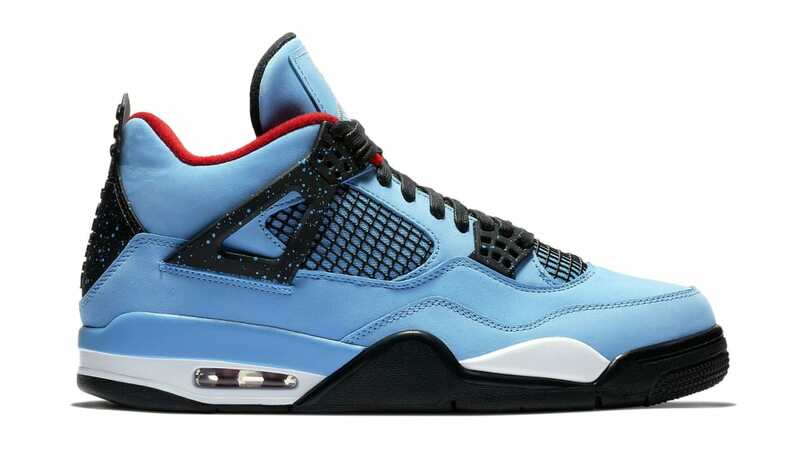 But when it came to Travis Scott’s Air Jordan 4, it couldn’t have been more authentic. Scott, a lifetime Jordan head got to collaborate on his favorite silhouette. Hell, it’s even inspired by his childhood-idolized football team, the Houston Oilers. But more so, the colorway and the quality is outta this world. 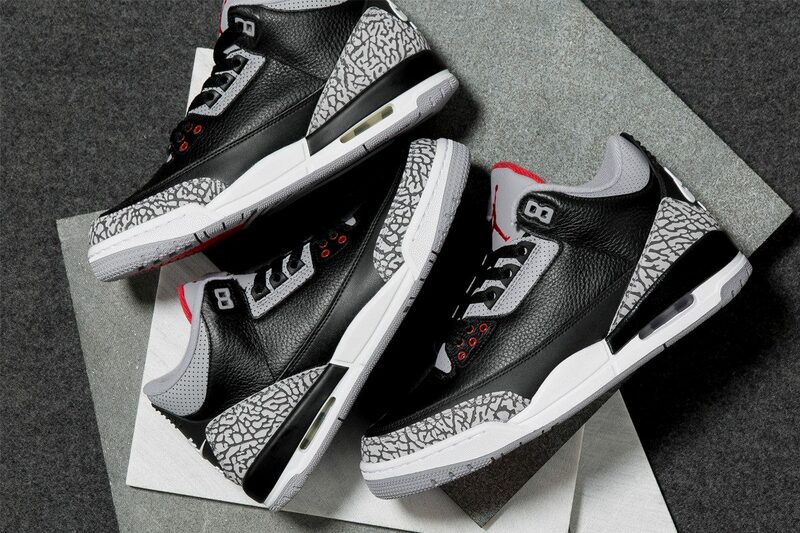 Plus, it was this sneaker, designed by Tinker Hatfield, that saved the Jordan franchise. The wild design was enough to entice Mike to stay on board with Nike, leaving adidas wondering what could have been again. 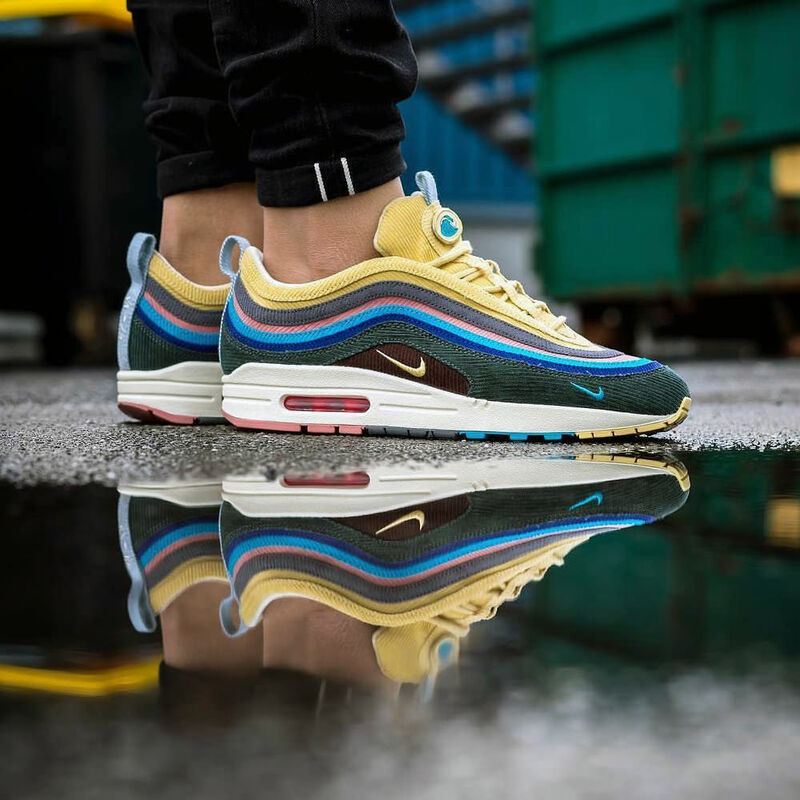 It’s no surprise that Sean Wotherspoon find inspiration from the strangest places. His business, Round Two, deals in so rare, wacky and wild vintage gear that almost everyone has forgotten about. This sneaker however, is inspired by a corduroy Nike hat from the 1980s. It won last year’s Vote Forward competition for Air Max Day and came out this year in larger numbers after a very, very limited release in 2017. There are many haters, but when LeBron James, Kevin Hart, Chris Brown and pretty much every clout pulling celebrity wants a pair, you know you’re onto a winner. And from a business perspective, it helped push along the resurgence of the Air Max 97, helping Nike to reclaim huge market share in the trainer category. A huge success for Nike, but not as big as . 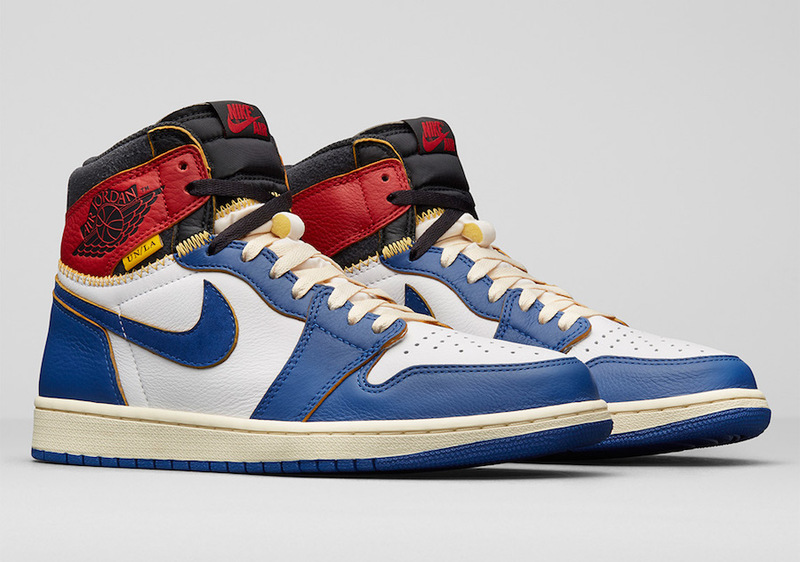 . .
1.4 Million pairs made, and selling out in a few days? That’s a success. 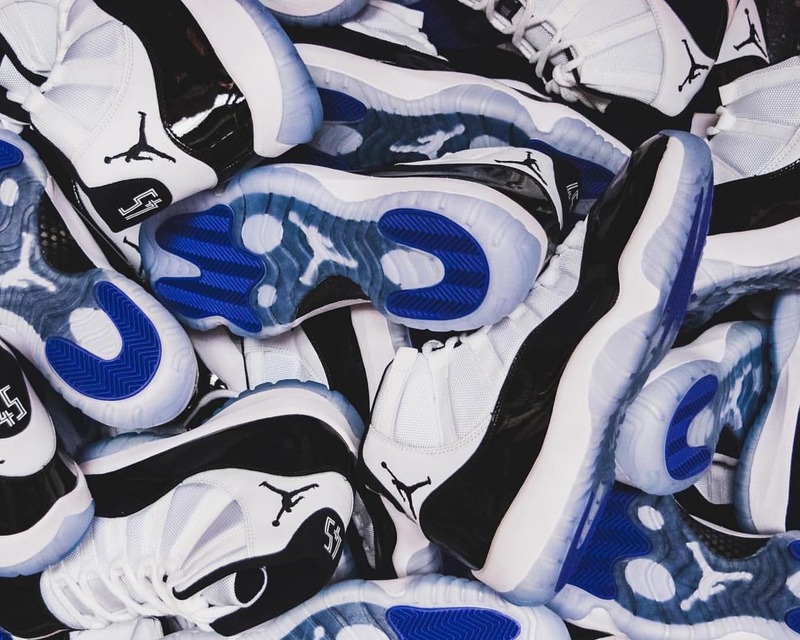 In actual fact the return of the original “Grail” was the single biggest sneaker release in history, surely lining the pockets of Mike and co. to the tune of (at least) $70 Million. You can’t deny this sneaker’s importance to the culture, but it’s not always about looking back, because the top spot belongs to a new kid on the block. Well, this is no surprise. 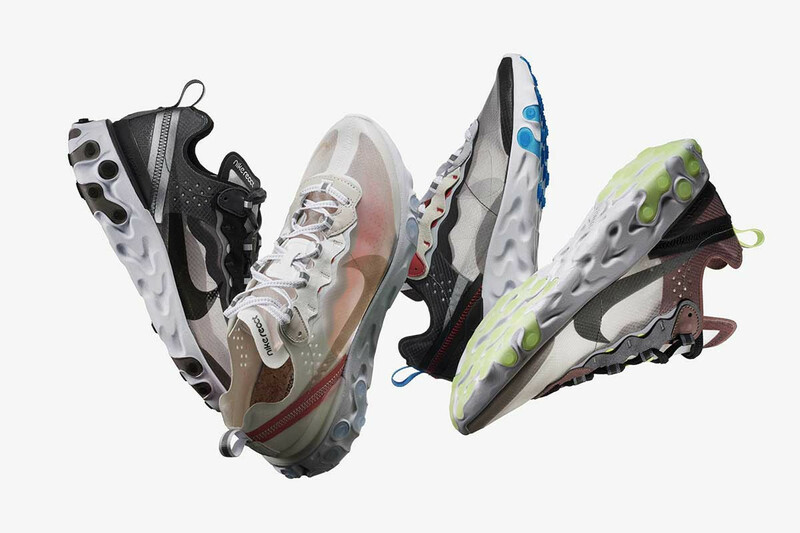 For those of you wondering, Nike’s React Element 87 sneaker is named after the periodic element Francium, which is the 87th (and most explosive) element on the table. So it’s fitting that these exploded onto the market when they first dropped in July. It’s wild design cues, including a semi-translucent upper and out-there outsole, were paired with insane new React tech, and Nike even had the guile to add cork insoles. It’s no surprise these have been touted as the front runner for the official 2018 Sneaker of the Year. But what makes this sneaker so important to the industry is it’s innovation and advancements in tech, which many are labelling as Nike’s new “Air”. Thats a HUGE claim to make, but it’s something that will pave the way for the Swoosh for the years to come.